Over on the AccursedRPG site, the development team has been sharing information about the game setting for several months now. We've talked about the nations that make up the game world, the Witches who invaded Morden, the banes they created, and the Witchmarked monsters who battle against them. Readers who have followed the postings have had more than 40 different posts to learn about the world. Today, is the first chance we give gamers a chance to play in the world as well. We've just launched a Kickstarter project, to bring the game to market. Ultimately, the development team has some talented game designers and editors, but we need artistic resources as well. Because of our unusual tone, stock artwork simply has not been an option for Accursed. Fortunately, we have some very talented artists who are willing to work with us, and our initial expenditures gave us a few preview pieces to help promote the setting. If the idea of playing a monster tormented by his essence while battling against more horrific beings inspires you, please take a moment to consider our project. Backers get an opportunity to download the playtest rules as soon as they pledge. 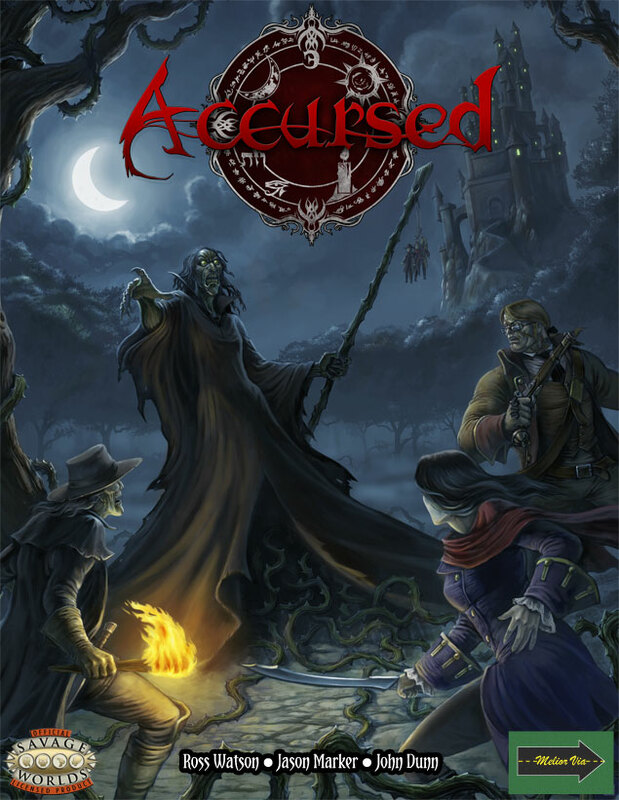 This document offers background information on the world, character creation, and our customized system for tracking how a character has moved towards Denying or Accepting the curse that transforms the Witchmarked into a monster. 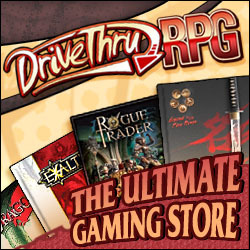 It does require the Savage Worlds rules and the Horror Companion from Pinnacle. With those in hand, we think it can make for a great game experience.